This game is an adaptation for kids of the famous Tangram game. Rules have been simplified (no rotation needed at all) to allow every kids to solve all the Tangrams. 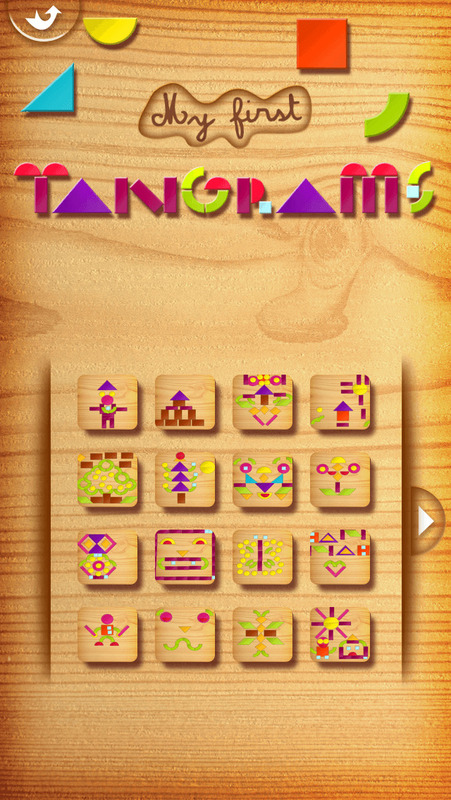 In this Lite version, you can access 4 Tangram puzzles in each mode. Kids can play with the last 4 Tangram puzzles created by other children in the "creation mode". In the full version, more than 1000 Tangram puzles are available!!! Kids can also try the "creation" mode in which kids will have fun to create their own Tangrams (limited to 4 different shapes in the Lite version / 30 in the Full version). In the full version, they can share them with the whole community by sending them to our server (all Tangrams are validated by us before being available to the community). Version is now universal (iPhone & iPad).